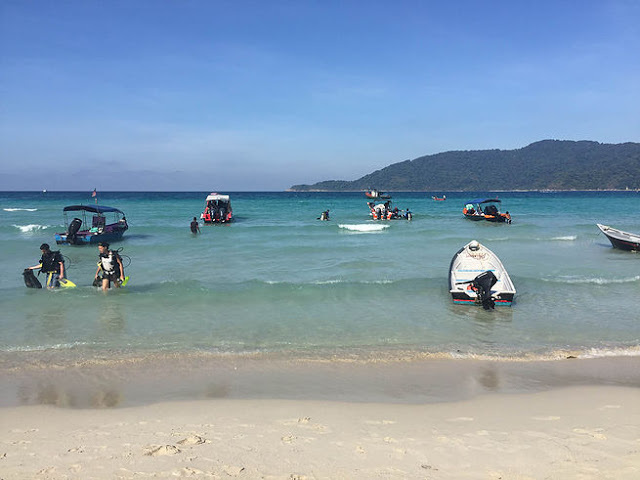 Pulau Perhentian are accessible through only one mode of transportation - via boat. The boat transfer point is at Kuala Besut Jetty. 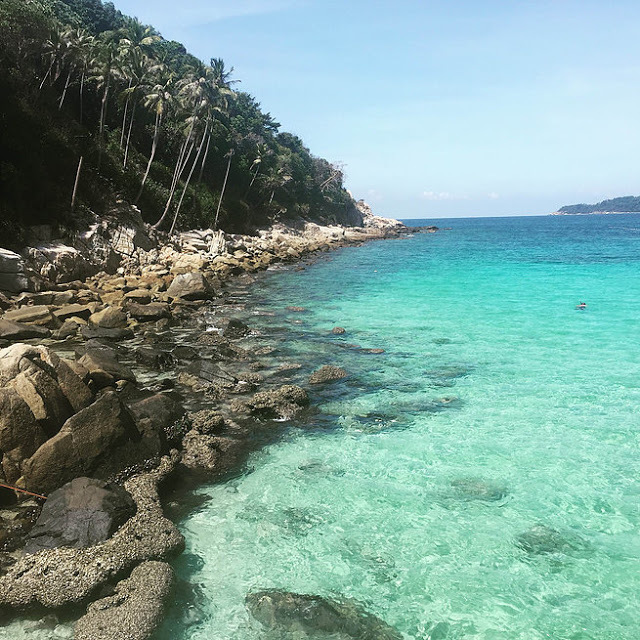 There are a few islands nearby which you can go to from Kuala Besut - Pulau Perhentian Besar, Pulau Perhentian Kecil, Lang Tengah, and Pulau Redang. From KLIA, you can take a taxi to Kuala Besut Jetty. The estimated driving time is around 6 hours. Another option is to take a domestic flight to Kuala Terengganu (TGG) or Kota Bharu (KBR). Taxi ride from Kuala Terengganu will take about 1 hour and 2 hours from Kota Bharu. Some resorts are able to arrange boat transfer. Do call the resort one week before you arrive. Otherwise, you can purchase the ferry ticket at the jetty. The price is approximately RM70 depending on the company. The first boat scheduled at 8am and the last transfer is at 4pm. Boat ride is about 45 minutes. Pregnant ladies are strongly discouraged from taking the boat ride due to the shakiness of the boat. Also, it is not safe to travel to the island during monsoon season around late November til early January. Getting your car parked at the jetty can be a challenge. The jetty does not provide designated car park. Private carparks are often full. And you are required to leave your car keys at the carpark. Leaving your keys to the car attendant is based on trust. There is no special agreement involved, so I do advise you to be extra cautious such as getting the name of the parking attendant, his phone number and keep your car spare keys with you. We paid RM10 for carpark per day. Pulau Perhentian is a conservation park. Visitors are required to present their identification card (for Malaysians) or passport (for foreigners) at the counter and a RM5 admission fee is imposed on every visitors. In some circumstances, you are required to declare the items you bring into the island. However, this rule is not strict unless you are going for an event or photo shooting. 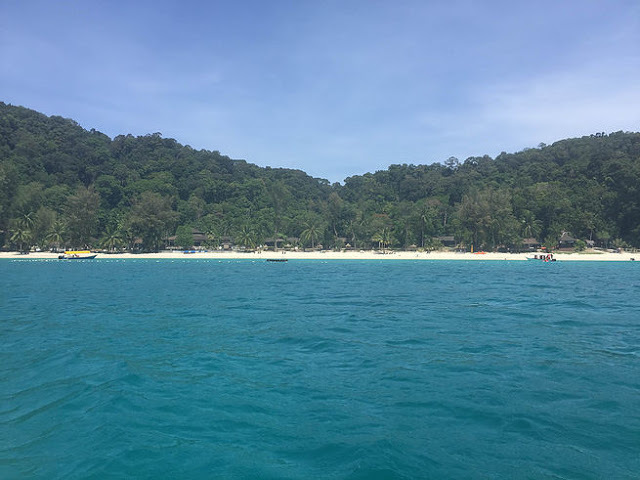 It is fairly convenient to travel from Pulau Perhentian Kecil to Pulau Perhentian Besar (vice versa). Water taxis are easily available. The distance between the two islands is about half hour (or less) of boat ride away. 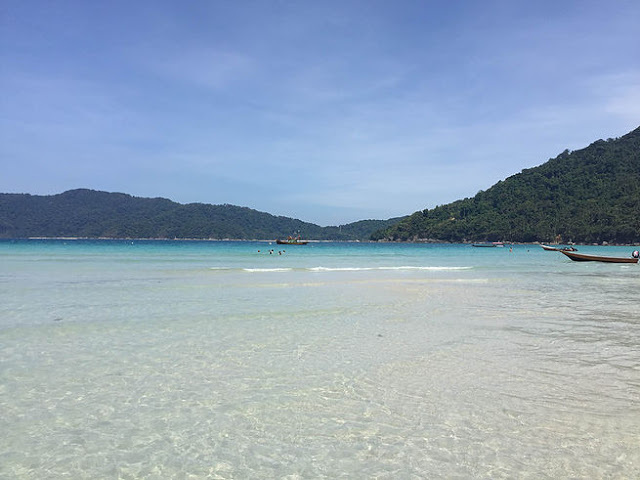 You can also travel to Lang Tengah or Redang Island, which requires a longer journey.